Do you have what it takes to be a kitchen whiz? Why don't you try to spread your wings by making a video of yourself cooking your signature dish and join the Moulinex You Cook Video Recipe Challenge? Now is the time to show everyone the talent you've got as you whip those amazing recipes you've been hiding in your private kitchens. Who knows, you could be the next celebrity chef? Leonelia De Castro of MOST Institute went to bring home the bacon last year when she emerged as the Grand Prize winner. 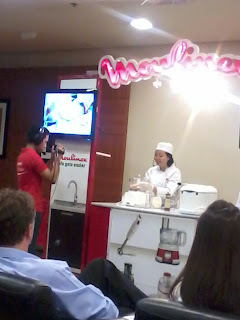 Chef Liah is now with Resorts World Manila. She has embarked on a different life after she had topped the major title last year. 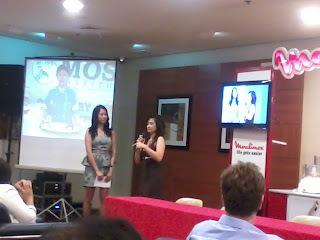 The host with Chef Liah De Castro, the grand winner of Moulinex You Cook Video Recipe Challenge Year 2. 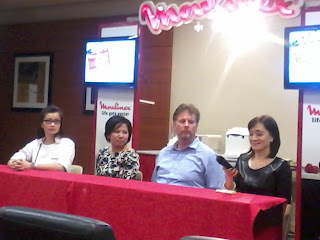 The judges are composed of Chef Rosebud Benitez, Intercon Manila's Food and Beverage managerAmy Ferrer, Chef Mats Loo, owner and director of First Gourmet Culinary Academy, and Ms. Nina Daza-Puyat, Appetite Magazine's editor-in-chief. 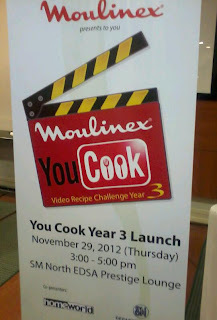 Now on its thrid year, Moulinex You Cook Video Recipe Challenge encourages women aged 18 to 40 years old to join the contest and whip up their signature dishes. 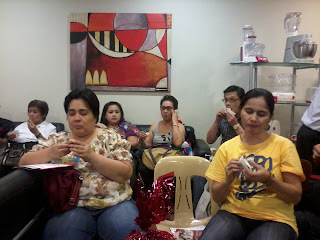 Open to single or married ladies who are residents of Metro Manila or nearby provinces. But she should not be previously enrolled or currently working as a professional cook or chef, or someone who owns a restaurant or a culinary school. During the press launch, students from First Gourmet Culinary Academy had a mini demonstration and food tasting. 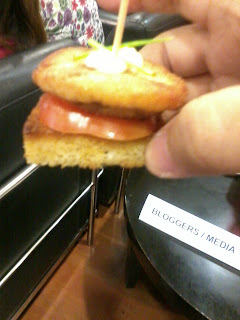 They had given the audience a chance to try the food by giving out food samples. 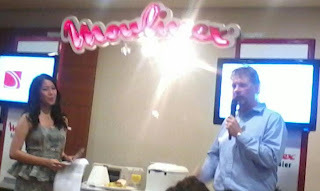 First Gourmet Culinary Academy student made a food demonstration. The audience enjoys the free food tasting. Tasting one of the dishes they had prepared. The host with Chef Mats Loo, the owner and director of First Gourmet Culinary Academy. Submit a video of yourself preparing your original signature dish. Clearly show the food preparation rocedure of your recipe as you state each ingredients and instruction while using at least ONE Moulinex product. The video must run within 10 minutes or less. Purchase of Moulinex product is NOT required. Enclose in an envelope your video recipe entry saved in CD along with a photocopy of your birth certificate, curriculum vitae, soft copy of medium shot photo and send it to Collins International Trading Corporation, 412 Amang Rodriguez Avenue, Manggahan, Pasig City. You could also send your entry via You Tube upload, email them the link to your video. 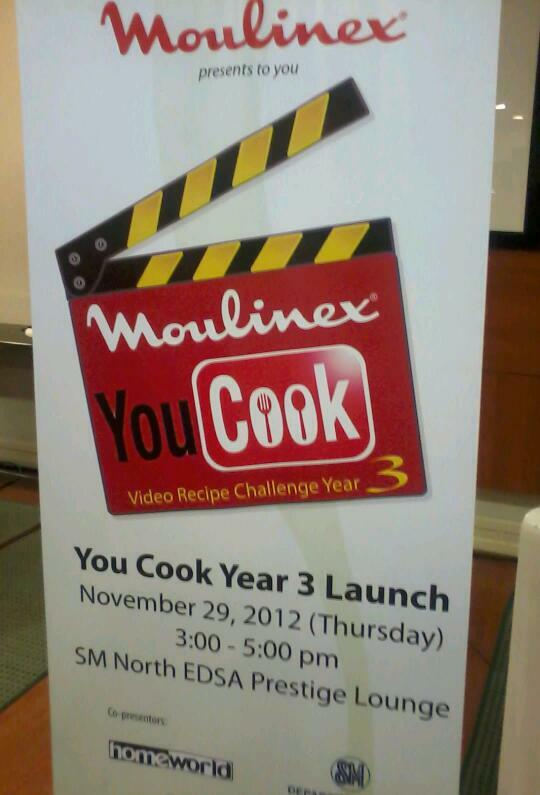 Send all the requirements to moulinexyoucook@gmail.com and indicate "You Cook 3 Entry" in the subject field. 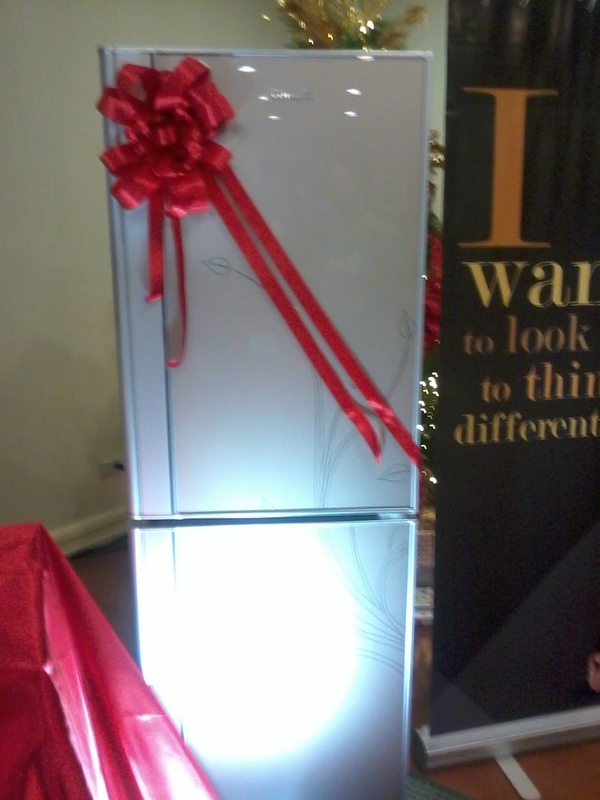 The 8 cubic feet refrigerator from Dowell. Grand Prize: Php 50,000 cash from Moulinex, Moulinex kitchen showcase worth 30,000, Dowell 8 cubic feet refrigerator, one (1) year free subscription to Appetite magazine, gift certificates from First Gourmet Academy, to be part of at least one Moulinex culinary workshop, gift packs from sponsors and a plaque of recognition. 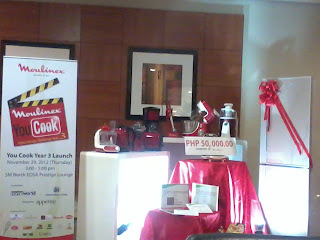 Second Prize: Php 20,000 cash from Moulinex, Moulinex kitchen showcase worth Php10,000. 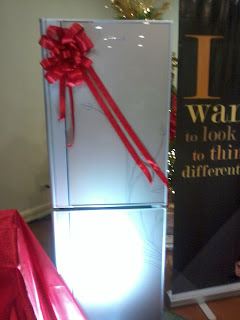 Dowell 6 cubic feet refrigerator, gift certificates from First Gourmet Academy, gift packs from sponsors and a Certificate of Recognition. 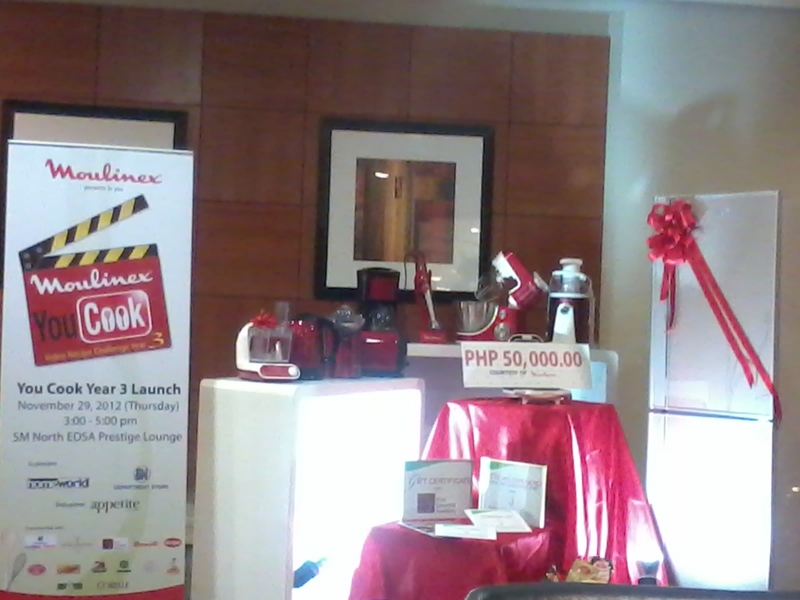 Each will receive Php 5,000 cash from Moulinex, JU21 Juice Extractor and a certification of participation.